St. Cloud State University alumni? Seeking employees with Bachelor’s Degrees? 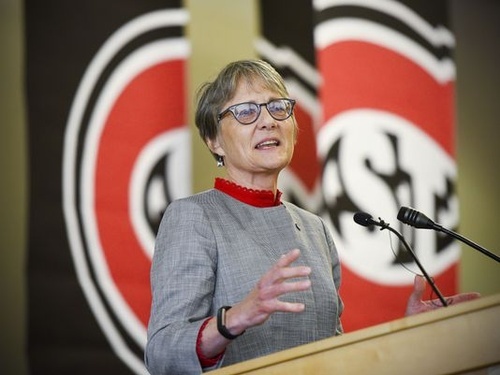 President Robbyn Wacker is dedicated to shaping SCSU to best serve the changing needs of students throughout the state. Her vision is to make SCSU the university of choice in Minnesota, based on the school’s quality of programming, innovation, diversity and new approaches to meet the changing needs of students. Join the Chamber to share your thoughts and ideas about workforce and professional development needs.